The final heads-up match at the 2010 PokerStars European Poker Tour London £5,250 no-limit hold’em main event came down to a battle between a young professional from Scotland and a renowned poker professional who was poised to be crowned as the invading king of London poker. The two had emerged from a record 848 players, the largest field ever in England. John Juanda had the chip lead when the heads-up final began between him and David Vamplew, but the 23-year-old doubled up to even up the chip counts before Juanda pulled away again before a dinner break. Vamplew saw his stack shrink to 4,620,000 before he moved all in for a second time after dinner. Another double up gave his stack a fighting chance, and a third double up ensured him the chip lead. Juanda then took back the lead and stretched it to a 2-1 chip advantage. The final battle really began to run long when, after a number of skirmishes, Vamplew turned the tables and held a 2-1 advantage of his own. When Juanda moved all in he did not find the double up that had been granted Vamplew a few times before. The final hand saw Juanda’s K-2 fall to the A-3 of Vamplew. “It’s going to take a while to sink in. I had to get lucky to win. I won a few all-ins but I’m pretty proud of the way I played. I’m pleased with myself for sure,” said Vamplew after the victory. He is now £900,000 richer thanks to his first major tournament title and he became the all-time leading money winner from Scotland in the process. Juanda adds £540,000 to his career earnings, which now stand at an impressive $11,097,373. The EPT London main event final table also had a large effect on the Card Player Player of the Year race. Thomas Marchese won 480 points for finishing in seventh place and it took him to a grand total worth 5,246. There are now just 330 points separating him from POY leader Dwyte Pilgrim for the top spot in the race. Juanda may have finished as the runner up tonight, but he grabbed 1,600 points and made the largest gains in the POY race at the final table. He now sits in fifth place in the standings with 3,717 points. His previous POY scores in 2010 all came at the World Series of Poker, where he made four final tables and accumulated 2,117 points. Read on below to see how all of the action at the final table played out. Ummer is the first elimination of the final table. He leaves in eighth place with £66,800. Tom Marchese is the next casualty of the day. He gets £100,000 for seventh place after going out at the hands of David Vamplew. Vamplew moved all in from the button and Marchese called from the small blind. Vamplew flipped over 10 5 while Marchese was ahead with A 8 . With the Card Player Player of the Year top spot hanging in the balance of where he finishes today, the young pro saw his hopes rip apart as the board fell J 5 2 4 6 and a pair of fives was enough to put Marchese out, and increase the Scot’s stack to 3.8 million. 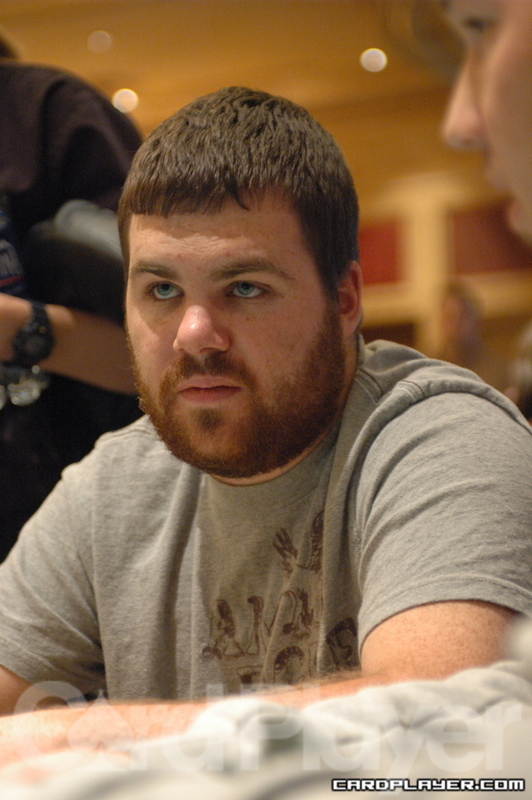 Kyle Bowker bet 220,000 and Fernando Brito shoved his last 380,000 in chips in. Bowker called and flipped over J 10 . Brito held A 6 and the board at first went Brito’s way but then Bowker’s – Q 6 4 10 K . Portugal’s Brito leaves in sixth place for £145,000. Short-stacked Kayvan Payman was making some all in movements and not getting any action, but in the end both David Vamplew and Kyle Bowker decided to take a shot at sending him out. When Payman shoved all in for 1,750,000, Bowker made the call, and Vamplew moved all in. Vamplew had Bowker covered and Bowker decided to fold. However Payman could triple up if he survived the wrath of Vamplew. Payman flipped over A 4 and found himself up against the Q Q of Vamplew. The board was dealt 6 4 3 5 3 and the queens took the pot. Payman goes out in fifth place for £190,000 leaving us with just four in search of the title and the £900,000 top prize. The river sent Wasek right out of the main event final in fourth place for £240,000. John Juanda takes the reigns right back out of the hands of Vamplew. Juanda flushes Bowker right out of the event in third place for £300,000 and we are now heads up. John Juanda moves all in for 3,435,000 and David Vamplew makes the call. Vamplew takes the title and £900,000 while Juanda goes home with the second place prize of £545,000.